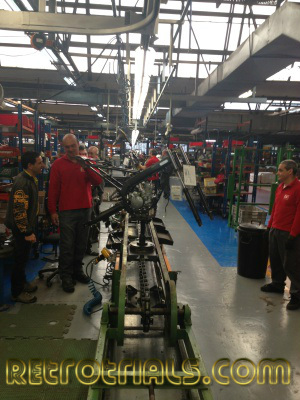 Stop and read this brief history of Derbi , then move on for a look around the factory. You'll soon appreciate how big , powerful , important and influential this Catalan company was. 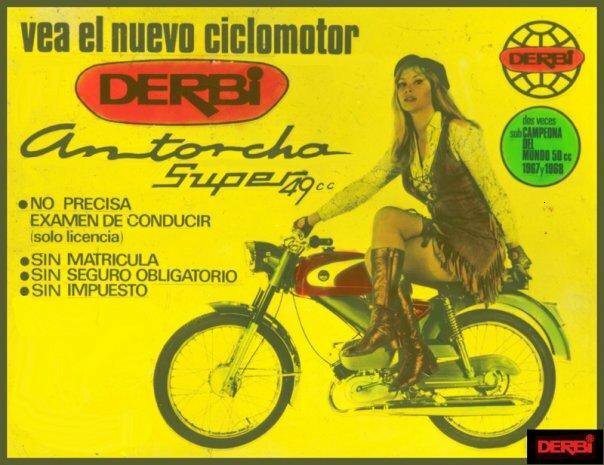 Make no mistake , in its day Derbi was real mover and shaker in the motorcycle World. The company commands respect with its fantastic exotic Motorcycles and its many many World Championship victories. Here is a short resume . It will give you an understanding on why Derbi is so close to the hearts of the Catalan's , Spaniards and true road racers. - The name Derbi comes from derivative "DER" of bicycles "BI" . 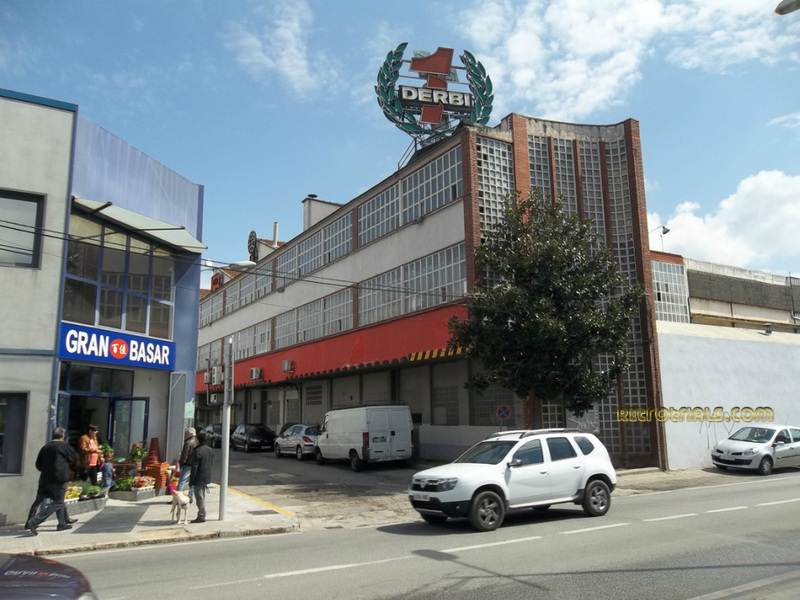 - In 1922 Derbi were founded by Simón Rabasa i Singla in Mollet del Valles , Barcelona just servicing and repairing cycles. It was his dream to create an Empire. - In 1946 after 2 successful years the company began making a small capacity motorised version of its cycle. This was very successful and Derbi started to rethink their business plan. The plan involved a large sidestep into the lucrative small capacity and practical motorcycle business. This change in direction paid off with great success. For example , Derbi made 500,000 Aantorcha 49cc Mopeds providing a huge amount of income. - In 1950 the company changed its direction almost completely making mainly motorcycles . The company also changed its name to Nacional Motor SA. 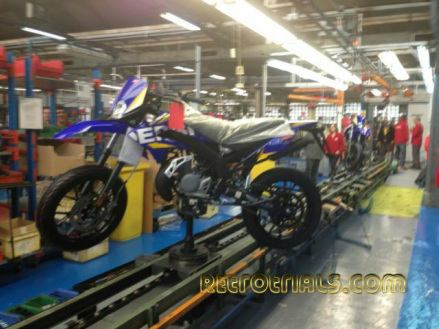 This same year, Derbi started production of its first real motorcycle , a 250. Derbi still continued to make bicycles in addition to motorcycles and Margarita Rabasa headed this division. 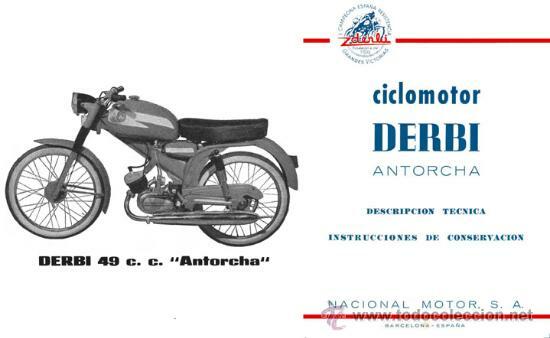 Derbi's success on the circuit came racing the small capacity motorcycles. 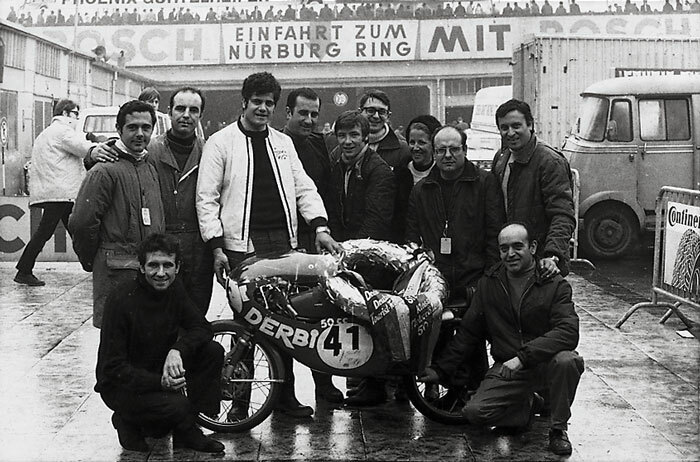 Derbi successfully competed in Grand Prix motorcycle racing, winning 50cc 3 world championships in 1969, 1970 and 1972. - In 1984 the displacement allowed in the races was increased from 50cc to 80cc. Derbi won 4 consecutive years untill 1989. Derbi's main rider was Angel Nieto who is considered a "God" by the Spanish . He won 13 World Championships and is considered by Barry Sheene and thousands of others as being one of the most successful motorcyclists of all time. 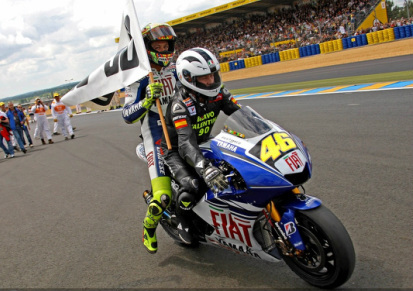 He brought Derbi many years of success , similar to the Rossi and Yamaha relationship these days. Unlike Ossa, Bultaco, and Montesa, Derbi successfully met the challenges that followed the death of Franco the subsequent torrid Spanish transition to democracy as well as Spain's entry into the European Community. This was a remarkable feat considering successful companies were considered the babies of Franco. Immediately after Franco's death , anything associated with him fell into disrepute.Derbi continued to remain afloat because there was a concurrent oil crisis.Derbi produced bicycles and economical mopeds which was exactly what the public wanted. So many other motorcycle companies didn't , and went bankrupt. 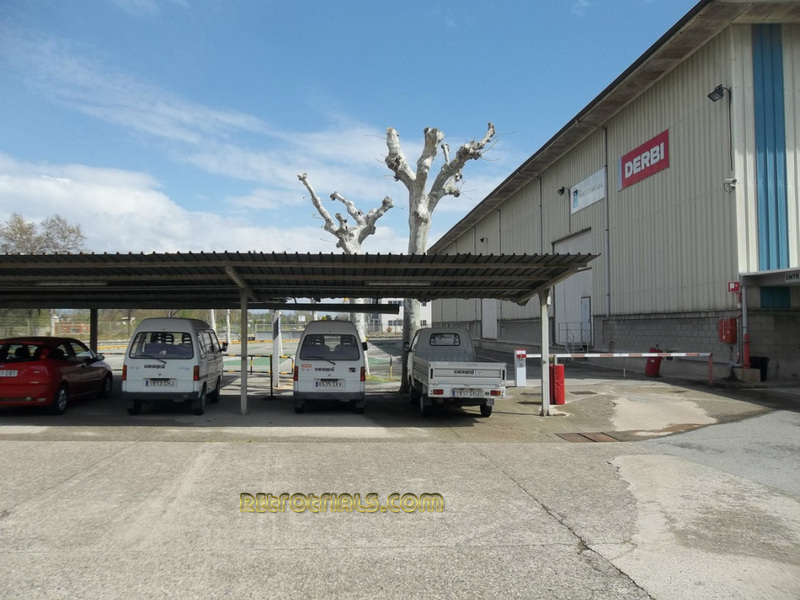 Founder Simeó Rabasa i Singla died in 1988 but the company remained independent until 2001, when it was bought out by the Piaggio group and falling into Italian ownership. Despite being owned by the Italians , Derbi was very much a Spanish brand with a Spanish identity . 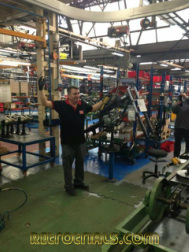 Following the buy out ,Derbi continued to specialise in manufacturing entry level scooters and motorcycles. Derbi were known for stylish bikes with high performance engines. Derbi were the best at what they did. In my opinion they produced very trick bikes that people found hard to resist . The bikes had flair and were beautifully made .Despite this , by the time the buy out occurred ,Derbi's best days were behind them. 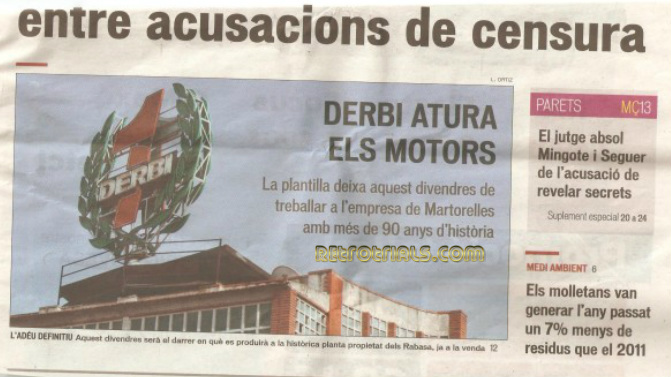 The Derbi factory was situated in Martorelles near Barcelona. 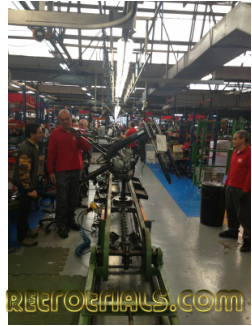 In March 2013 Piaggio relocated all manufacturing to Italy and the Far East. 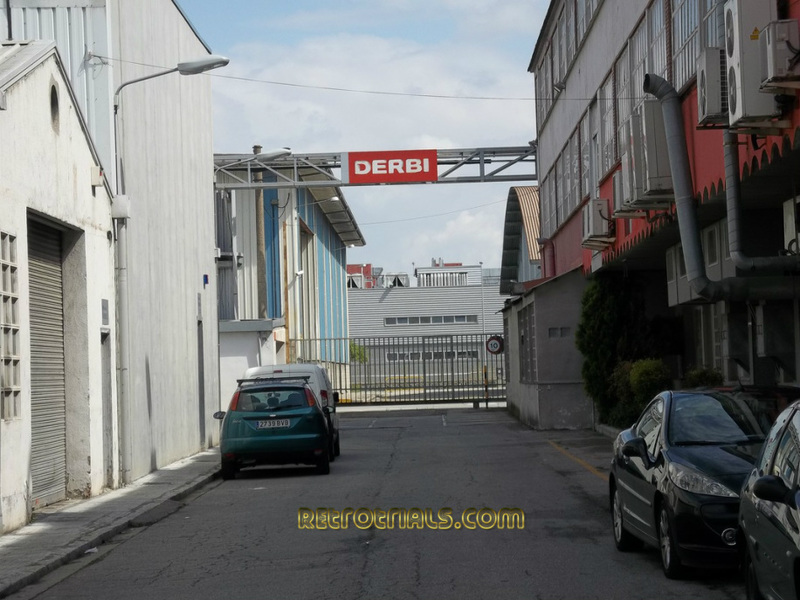 At exactly 11pm on the 22nd of March 2013 The Derbi factory closed . It was a very sad time for the Catalans , Derbi fans and the Spanish motorcycle industry. And heres the Trials connection. Who was Angel Nieto's mechanic at Derbi ? Joan Ruiz the chief mechanic at Mecatecno and R and D man at GasGas during the late Tarres and Raga years. Who was the manager of the competition department at Derbi ? 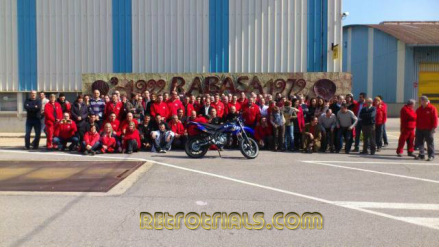 - Mecatecno owner - Jordi Rabasa relative of the Derbi founder. Jordi Rabasa's father was a high level manager at Derbi also. 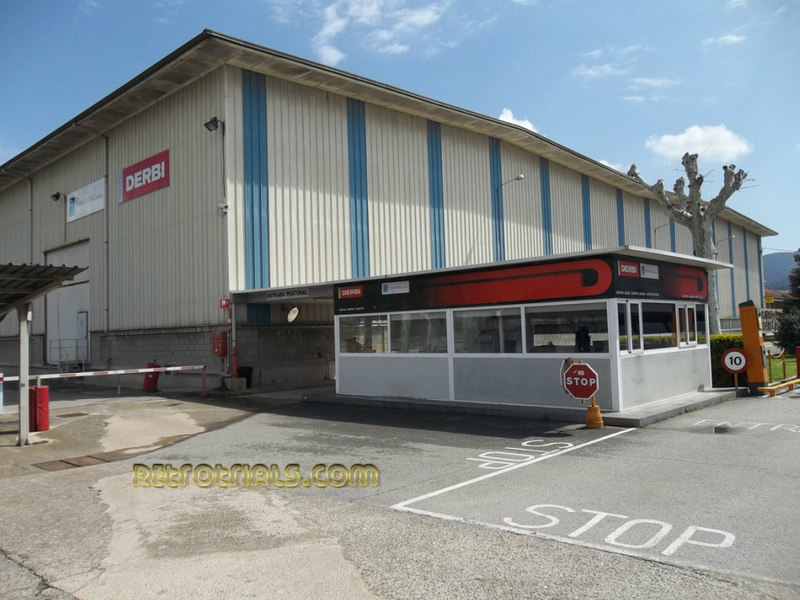 Now i have asked 2 former Derbi employees to provide me with an an explanation of what each photos shows. Unfortunately , it was lost in translation and the reply i got bore no relation to the questions id asked :) . My fault , i should speak Catalan. 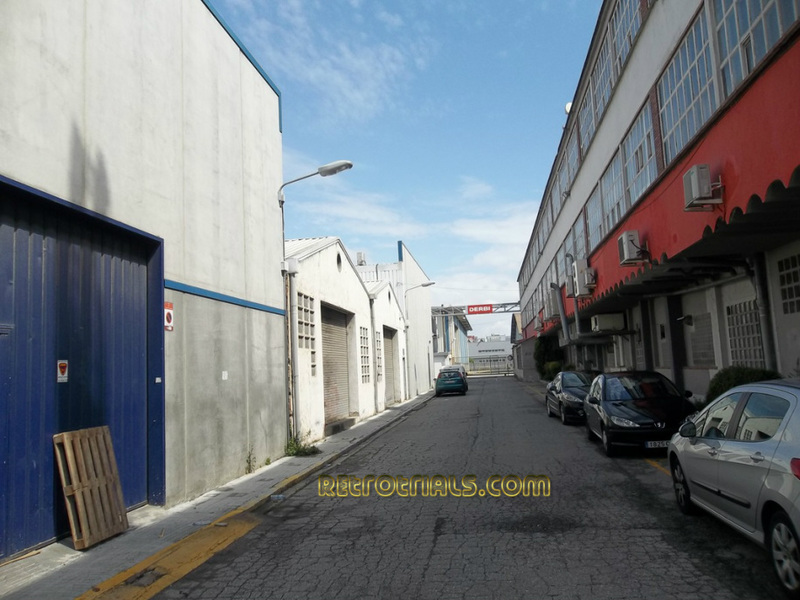 So , here we have a photo tour of the whole site. To be honest it was fairly obvious to me what each building did , so ill make a note under each photo. Enjoy. 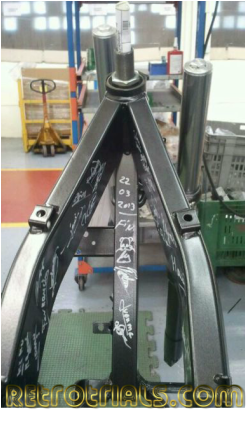 The factory is likely to be demolished in a few months , but this record will ensure it is not forgotten. 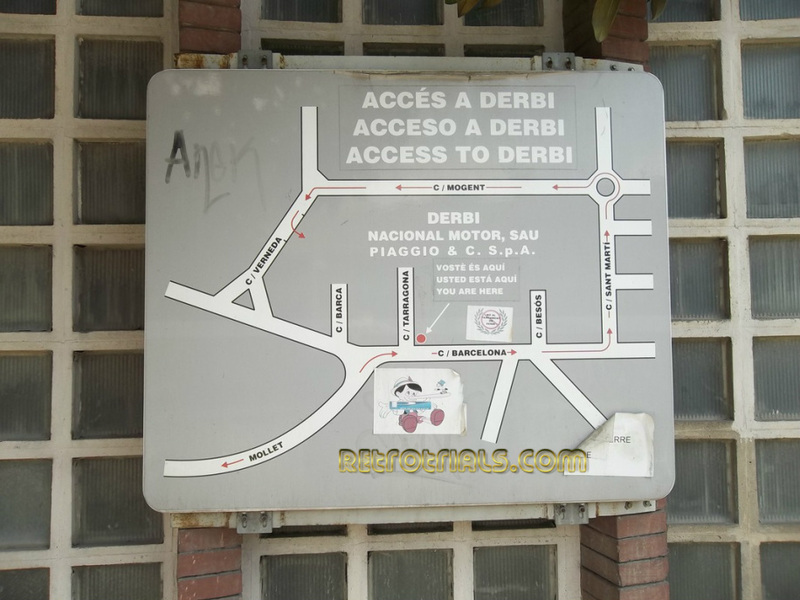 There are four entrances into Derbi . This entrance leads past the offices to the right. The Derbi Laurel wreath sign is terrific.